Elias Hinckley argues that utilities can benefit by taking oil’s share of the transportation market. Energy use in the U.S. can be split into two large pies. One pie is electricity use in homes, buildings and industry. The other is transportation, which is powered primarily by liquid fuels like gasoline and diesel. There are some exceptions, as well as a few overlapping categories of fuel use. For example, there's direct industrial use of liquid fuel (a fairly significant quantity), some liquids burned to make electricity (this used to be a significant amount, but is now only a very small amount), and now a very small amount of electricity used to power electric vehicles (EVs). 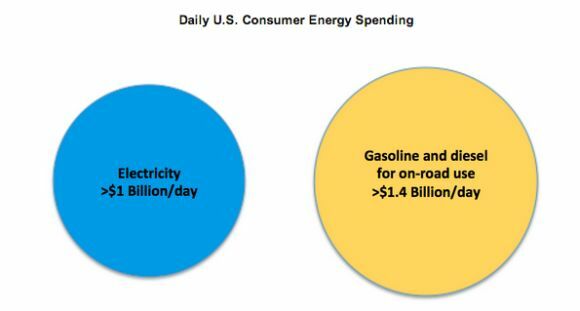 American consumers spend, on average, more than $1 billion every day on each of these energy uses. Electric utilities have never made a serious effort to attack the transportation market at scale. Historically, this made sense. Transportation infrastructure was built around liquid fuels and there was no viable electric-drive alternative. Within the past few years, a technological transformation has occurred in the electric vehicle sector. The possibility of a utility taking a piece of the oil companies’ market share is becoming much more likely. There are now better batteries, faster charging options and proven EVs on the road. Virtually every auto manufacturer is building a full electric or plug-in hybrid model. This evolution has happened independently of the electric utilities. Aside from rolling out a handful of charging stations or the occasional plan for how to manage large amounts of EVs on the distribution network, utilities have been little more than observers to this evolution. There is an opportunity right in front of utilities. Yet the industry seems more focused on the threat of distributed energy and the possibility of a utility death spiral. The risk to utilities is real. A combination of distributed energy, energy efficiency, changing behavior and weak economic growth has resulted in virtually no growth for new electricity demand since 2008. That will force higher rates for each unit of electricity sold, which in turn will make the alternative technologies more attractive and accelerate consumer adoption. So far, these factors only threaten a small portion of a utility’s total sales of electricity. The real threat is declining profitability, which will impair access to low-cost capital and hurt asset-intense businesses like electric utilities. While electric utilities focus on this threat, they have largely ignored one of their greatest growth opportunities. By attacking the transportation market, electric companies could offset slowly sinking demand and drive new revenue growth throughout the industry -- addressing concerns about the impact of efficiency and on-site generation, while also providing more time to adapt. By proactively accelerating the widespread adoption of EVs and plug-in hybrids, the electric industry could consume a significant portion of the revenue from the transportation energy market. A recent report from the United Nations suggested that EVs could make up 100 percent of vehicle sales in the U.S. within fifteen years, assuming an aggressive support scenario. There are challenges, of course. They include range anxiety, insufficient vehicle-charging infrastructure in many areas, limits on the affordability of better batteries, and a lack of consumer confidence in the new technology. However, these challenges can be addressed through faster deployment of infrastructure and consumer education. Free long-term financing for at-home high speed charging stations when a consumer buys an EV – utilities have access to low cost capital and direct billing to consumers. A partnership between a utility and an EV manufacturer could allow for innovative financing options (e.g., an EV with loan payments collected as part of a Duke Energy bill). This has the primary benefit of accelerating adoption through easier financing, but also increases knowledge simply by promoting the plan. For a utility like Exelon, with excess off-peak production due to its large nuclear fleet, a carefully crafted program could absorb some of this power while providing low-cost fuel for consumers with EVs. Rebates for EV buyers could be recovered over the life of vehicle use through increased electricity sales. As consumer anxiety and infrastructure needs get addressed by utilities, all of these strategies could lead to the permanent capture of consumers’ transport energy purchases. 1. Despite increasing output of liquid fuels in the U.S., the country still imports hundreds of billions of dollars in oil every year and will continue to do so unless there is a structural change in demand. 2. Regardless of the geographic source, oil will continue to get more expensive. It is a global commodity, and the U.S. can only have so much impact on the global supply/demand balance. 3. This shift toward electrification would also significantly support efforts to manage global warming. There is no viable way to reduce carbon dioxide emissions from the lifecycle of a gallon of gasoline -- and per-gallon emissions will actually rise as we pursue more unconventional sources of oil that require more energy to extract and refine. 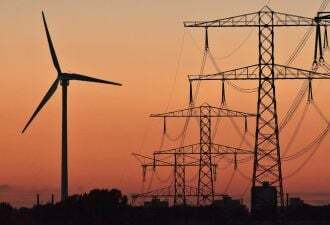 The U.S. electric grid has already begun to reduce emissions per unit of electricity as inefficient coal plants are phased out and renewable energy use increases. New EPA rules will accelerate this transition. Despite the clear benefits to the electric industry, it's unclear how this evolution will play out. Utilities have been slow to react to rapidly changing technology -- and it's worth noting that under existing regulatory frameworks, there is little incentive to do so. 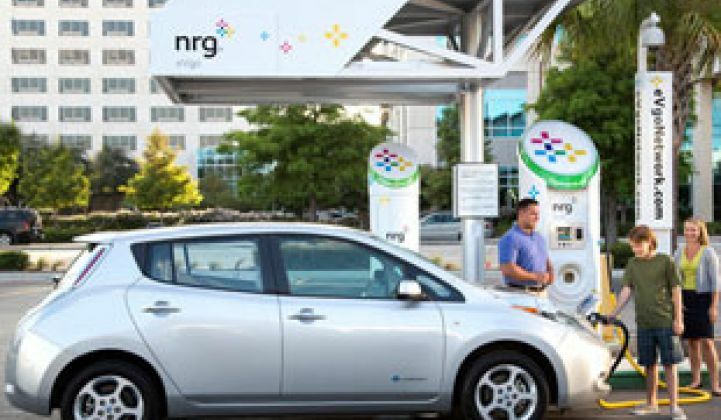 There are exceptions, such as NRG, but very few electric companies seem excited about promoting electric transportation. When will U.S. utilities recognize the opportunity that lies before them? Elias Hinckley is a strategic advisor on energy finance and policy to investors, energy companies and government agencies. An energy and tax partner with the law firm Sullivan and Worcester, he helps his clients solve the challenges of a changing energy landscape.